I spent Saturday evening in Hartly, Delaware having dinner with GOP candidates. The 11th GOP Representative District held a candidates night, at the Hartly Volunteer Fire Co. Let me first thank the committee who arranged the event, it was well attended, and thank you to the Hartly Fire Co. for the great food, I have yet to have fire house dumplings that weren’t good. The forum was limited to statewide candidates for Governor, Insurance Commissioner, and National GOP Committeeman, though there were other local candidates in attendance. Hans Riegel, who is running for U.S. Congress did speak, but since there was no other candidate for that office, there was no question and answer, also he had to leave early for another engagement. So the forum began with two questions for the two candidates for GOP National Committeeman, current Committeeman, Laird Stabler, and Kevin (it’s a short name and easy to remember) Wade. Mr. Stabler said he would continue to draw upon known supporters while seeking out other avenues. Mr. Wade’s answer was, it’s difficult to raise money, but there are many individual donors around the nation, as well as organizations. He also made the point, that when reaching out to these groups, the case can be made, that to elect a Republican to D.C., can be done on the cheap in Delaware, because it cost les to run a campaign in a small state. Sort of makes Delaware sound like the bargain bin of politics. You know, along with all of those 70’s favorites we love so well. Mr. Wade said unity. Okay, he used a lot more words than that, but the answer was unity. So I guess the top three task are like Fight Club, you never talk about them. Mr. Stabler listed his many accomplishments since being chosen as the Committeeman, and then stated that the real task for the Committeeman was to bring resources to Delaware during election cycles. The questions then moved on to the Gubernatorial candidates, Sen. Colin Bonini, and Lacey Lafferty. Sen. Bonini would only say that they, meaning the Legislature, was working on this issue, and that he thought, they would get it done this session. He gave no specifics, so I would qualify that as a no comment. I was completely disappointed with Lacey Lafferty’s answer to the question. Because it actually made sense. Damn, I hate it when the blind squirrel finds the nut. Her answer was, the first thing which needs to happen, is for family members to help law enforcement, by reporting problems, that family members may be having. I have to say this speaks to personal responsibility, and makes sense. Unfortunately, she then felt the need to fill time, and rambled as she is want to do. The next question was about the cost of state employee health care and how to reduce it? Ms. Lafferty fell back on her comfortable rhetoric and said, remove Obama care. Sen. Bonini said, to reduce the cost to tax payers, we would have to consolidate services, and raise the percentage the employees pay. To end the forum two questions were asked of the candidates for Insurance Commissioner, Jeff Cragg, and George Parish. The first question was about, why no-fault insurance did not lower insurance cost, as it was supposed to do? Mr. Cragg gave a detailed answer about how no-fault removed the incentive to lower the pay outs, because there was no one at fault, and that lawyers basically decided there was no need to fight, so the cost just keep going up. And without competition, the insurance companies can charge whatever they want. Mr. Parish, repeated the no competition aspect, and circled around to corruption, seemly so he could use his catch phrase, “The Status Quo, Must Go”. I am not even going to mention the second question, because in my opinion neither one addressed the specific question. Mr. Parish again rambled on until he could once again repeat his catch phrase. Mr. Cragg took the opportunity to use it as a closing pitch for why he is the most qualified, which considering his background in the insurance field, and as a small businessman who is dealing with Obama care daily, I would say he made a good case. And considering, that following this election, there is a chance there will be real changes to Obama care, Delaware needs someone who has experience in buying and selling insurance, to navigate the minefield. 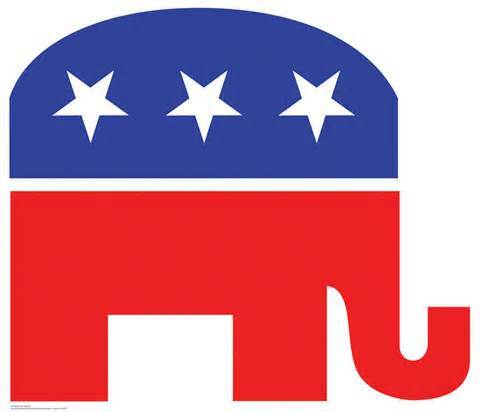 So again let me thank the 11th GOP District for a pleasant evening. 12 Comments on "A Country Dinner With The Candidates"
Mike, thanks for pointing that out, shouldn’t post so late at night I guess. I am born and raised in Kent County, should have caught that myself. Corrections have been made. Frank concerning the firearms issue I wonder if Bonini was referring to HB 325 which just passed in the house. It’s pretty much a given it will pass in the Senate as well. Concerning state employee healthcare costs the employee contribution has risen dramatically over the last several years. The co-pay has also increased for doctor visits, and a number of prescription medications are no longer covered at all. Now state employees have received notification that those who have High Mark may not be accepted by our hospitals. Bill, since Sen. Bonini gave no specifics, I can’t tell you, and can only assume. Nice to know the two candidates for Insurance Commissioner are misinformed or were misinformaing on the two questions reported on. 1. 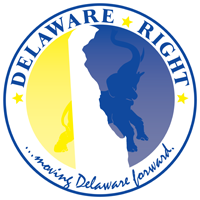 Delaware’s “No Fault” auto insurance plan “no fault” only in regard to medical bills. Every insured has “Personal Injury Protection” which means that if you are injured in a motor vehicle accident, your personal insurance plan would cover your medical bills. This does not “drive up” rates. The alternative is that one would have to seek coverage for the medical bills from the “at fault” driver, resulting in long delays of treatment and possible litigation if there is a dispute as to fault. 2. More egregious is Mr. Parish’s statement that state employee health costs could be reduced by eliminating “Obamacare”. He is either being disingenuous in order to pander for votes or he truly does not know that “Obamacare” has nothing to do with health insurance coverage for state employees. The state government is self-insured. All costs are paid out of the general fund. The state contracts with insurance companies (Aetna and Highmark currently) to handle the processing of claims. There are lots of answers to the questions above. The correct ones are not what was reported. I write not as a poltical figure but as former regulatory counsel and Director of Consumer Services at the Dept of Insurance. Mitch, please go back and read the post, it was Lacey Lafferty who said to remove Obama care in regards to lowering the debt created by state employees health care cost. Director of Consumer Services at the Dept. of Insurance”. How can this be an accurate statement when Mitch Crane wrote “More egregious is Mr. Parish’s statement that state employee health costs could be reduced by eliminating “Obamacare”. He is either being disingenuous in order to pander for votes or he truly does not know that “Obamacare” has nothing to do with health insurance coverage for state employees.” Frank Knotts did NOT report that George Parish made the statement because George Parish did NOT make the statement. Why did Mitch Crane assume George Parish made this statement? Is it because Mitch Crane is supporting a different candidate for Insurance Commissioner? George Parish is aware that the State government is self-funded and that “Obamacare” has nothing to do with health insurance coverage for state employees. Frank Knotts did report that George Parish is sending the message “The Status Quo Must Go!” to the voters. George Parish invites the voters to visit his website at VoteParish.com to read about his positions. When politicians like Mitch Crane profess to write about politics without being political, the voters know better. Thank you for pointing out my error, Frank. I read the post quickly and should have re-read my response for that error as well as the one typo. I should have noted that the ignorance of the state health insurance program is not the ignorance of Mr. Parish but that of Ms. Lafferty. I will not respond to Mr. Parish’s attack on me. He could have been more gracious and just pointed out my error, but he chooses to attack. I do not inject myself into Republican primaries. Mr. Parish has not changed since when he campaigned for Clerk of the Peace. I do care about having an honest consumer-oriented Insurance Commissioner who understands the workings of a regulatory agency. I am not worried about that person being Mr. Parish. Crane doesn’t the dysfunctional Democrats keep you busy enough! Anyone else find it odd that George Parish wrote in the third person? Andy thinks it is odd. Crane, what has driven up the cost of Health Care regardless who is paying for it or where the money comes from in the past eight years? Honi Soit does. Maybe George avoided using the first person singular (“I”) because he wanted to impart a greater sense of objectivity or a more formal tone in his posting. Or maybe it’s just that he’s out of touch with his inner self. If the latter, there are self-awareness exercises that claim to help. Honi Soit cannot vouch for them though.